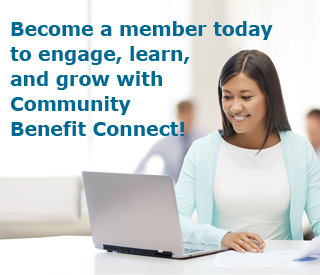 Community Benefit Connect is pleased to present national webinars on community benefit and related issues. All webinars are accessible on this page. If you missed a webinar, click on the webinar link to access it in the archives. If you experience any technical difficulties, please contact info@communitybenefitconnect.org. Please note that you will listen and view the webinar from your computer (no phone line will be used). You will need access to a computer with monitor speakers or external speakers for the audio portion of the presentation.